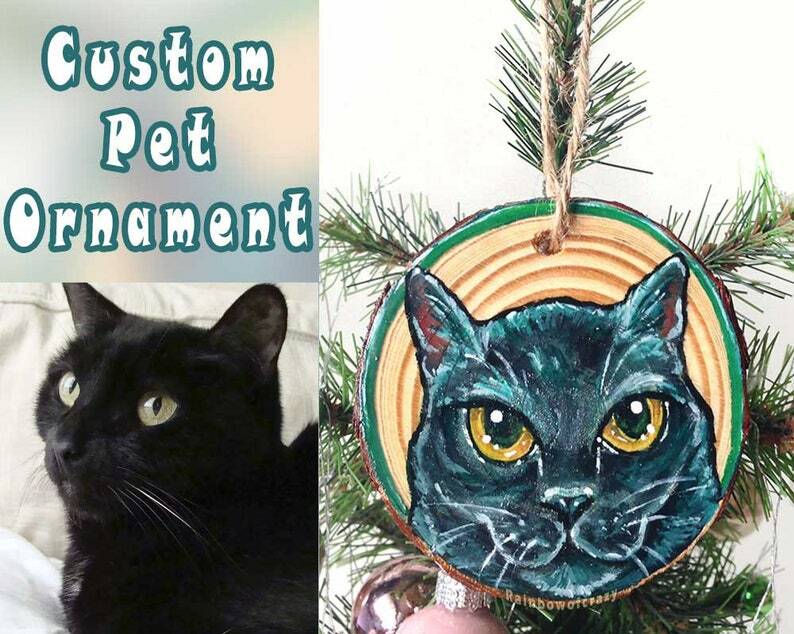 This is a special listing for one custom hand painted ornament with a portrait of your pet! Your beloved cat, dog, or any pet big or small will be hand painted on a beautiful circular wood slice that hangs with some natural twine. Names can be added to the front or back. 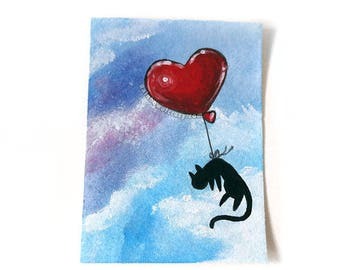 This ornament can be a reminder of that special animal in your life and can also be in memory of that beloved pet that has crossed over the rainbow bridge. This ornament makes a great Christmas gift to give for the holidays, birthdays or as a sympathy gift for a dear friend. 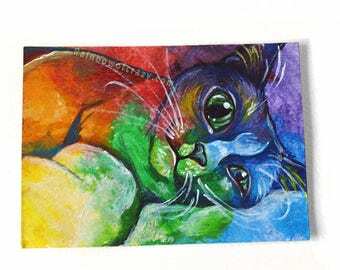 ** The paintings included are examples of my style: please be aware that while I will do my best to capture your beautiful pet, I do have a specific style that influences my work. My work is not photo-realism. I would love for you to check out other listings in my shop to get a sense of my artwork before ordering. Thank you for reading! Watermarks will not be on the actual piece. Portraits are painted with acrylic paint on smooth, lightweight pine slices. Wooden pieces vary between about 2 3/4 - 3 9/16 inches or 7 - 9 cm across and are about 3/8 inches or 1 cm thick. Because these are natural pieces of wood, please handle with care as its bark can sometimes be fragile. They are sealed several times for protection and a subtle shine. Though moisture resistant and made with great care to last, this piece may not be completely waterproof. Please keep ornaments away from moisture and long exposure to direct sunlight. Please use caution around sharp objects as to not scratch the artwork. The ornaments include twine for easy hanging. If you would like a specific length, please include a note with the order. 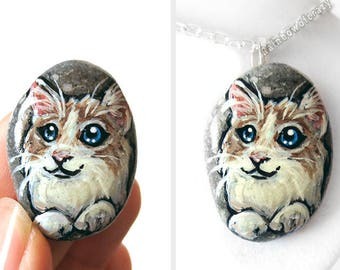 This listing is for a portrait of one pet. If you would like multiple pets on an ornament, please contact me and I can make the perfect custom listing for you. Images of the painted piece will be sent via conversations for approval before shipping. I use the smallest paintbrushes I can and each piece requires a lot of love and patience to create. I want you to 100% love your ornament and will do what I can to make it perfect for you! However if multiple rounds of changes are requested, an additional fee may be required. Custom pieces are not refundable. Thank you for your understanding. 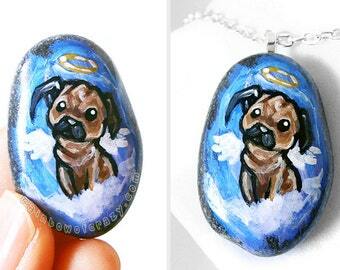 She did a wonderful job of painting the pet potrait from the pictures I sent. Meant a lot, as it was a memorial for my dog. It didn't take long at all to receive the finished ornament. She kept in touch during the process. I would order from her again.